1. What country/countries do I want to move to? Why? Where do you want to go? A simple enough question. The second part may be a bit more difficult, though. Why? Is it for work? Is it for love? Is it for security? Is it because it looks like a cool place on TV? These are all valid reasons, but some may require you to work more to make the move a success. A person with a job lined up and relocation or language support from their company will probably have an easier time adjusting than someone who moved to a country on a whim with no knowledge of the language and no network. 2. What kind of visa do I need to stay? What are the terms of it and are there any limitations? This is a pretty important one. How are you legally going to stay in the country? Check out the local embassy’s website for official information. 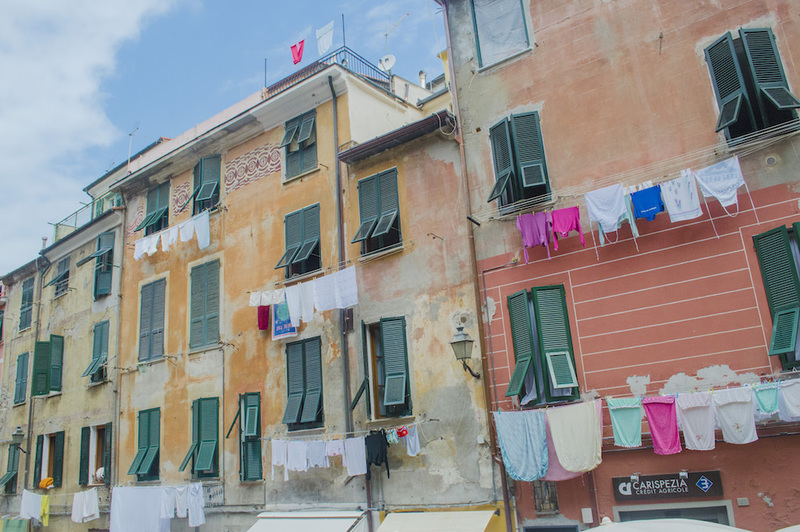 Some countries have special expat retiree options, while others will only accept income from domestic employers for salary requirements in the visa application. If you have a company sponsoring your visa they’ll help you, but if not, this will probably be a bit of a hurdle. Also, will your visa have any limitations? For example, are you allowed to work additional jobs or (if on a non-working visa) a part-time job? How many hours can you work? Where can you work? If you have family coming along, what visas do they need? Are they eligible for dependent visas? If they’ll be on a dependent visa, will they be allowed to work or will they need permission? 3. How is life in that country? What cultural barriers might I face? Is the country highly religious? What are their views on women, minorities, LGBTQ, the disabled? How is work-life balance? Are people encouraged to express their individuality or are they expected to conform? These are just some of the questions that’ll help answer what living in that country is like. You won’t completely know until you live there, but understanding a bit of the present-day culture before moving abroad will give you a bit of insight on the barriers you might face. 4. Do I already know the main language spoken there, or do I need to learn one in order to thrive? While you might not bother to learn the language for a two-week vacation, speaking becomes essential when you want to live somewhere for an extended time. Housing, work, utilities, taxes, health care, etc. are significantly less stressful the more you know the official language, and everyday activities like grocery shopping or grabbing a cab are more enjoyable. 5. How expensive is life in that country? Can I manage that? The cost of living in Indonesia is very different than that of Hong Kong. Living costs vary greatly from country to country and even from city to city. How much is housing in the place you’re thinking of going? Groceries? Transportation? Healthcare? Nightlife? Pet-related things? And what kind of salary would someone in your position make? Compare the numbers and figure out if you can afford a standard of living acceptable to you knowing the living costs of that country and how much the average salary for your position is. 6. Do I have the resources to make the move (and a cushion if it doesn’t work out)? Moving abroad can be expensive. Even if all you bring is what you can fit in a backpack or your company pays for your things to be shipped, you’re still likely to have expenses. Maybe you have to buy all new appliances because the voltage is different, or maybe your pet has to be shipped via cargo. Maybe your king-size bed that fit perfectly in that suburban palace of yours doesn’t fit in the smaller bedrooms of your city-center flat. Expect to pay. And what if your dream life abroad isn’t so dreamy? Make sure to have a cushion before moving abroad in case the job doesn’t work out, you have to evacuate, or you just really aren’t meshing with the location and want to return home. 7. Do I plan on working there? If so, what’s the market like? Can I get a job in my field? Do I need more skills? If you plan on working but don’t have a job lined up before you go, make sure to research what the job market is like in the country. You might find out that your industry isn’t big there or that the pay is worse. Do you need to acquire more skills or brush up on something? Maybe employers expect you to prove fluency in another language or have special certifications. 8. How does this affect my family? Would they do well in that country? What would they need to thrive? Family comes first. 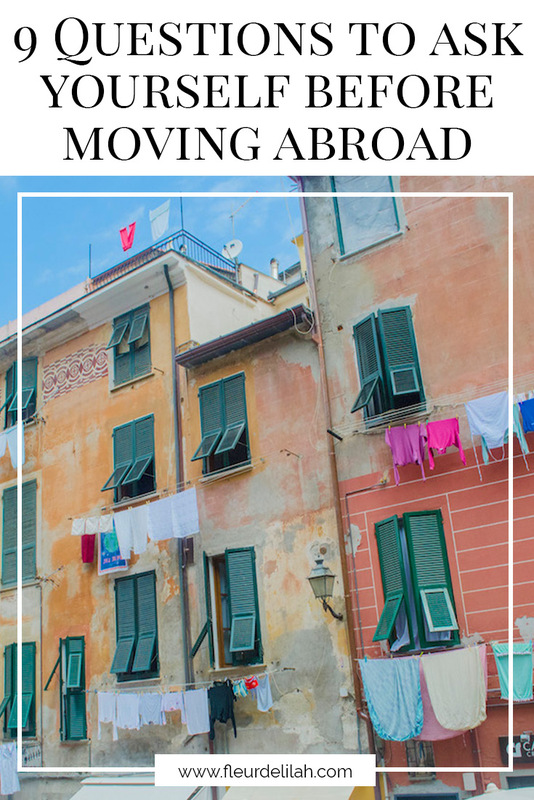 Whether you’re married with children, you have a parent that’s getting older, or your baby is furry with four paws, you need to keep your family in mind when deciding to move abroad (and where!). Will your partner be able to get a visa? Would they be able to work? How is the education system? Would your children have support adjusting to a new school where they may not speak the language? Is now the right time to move or should you wait a few years until you? Make sure you have everything figured out so your family will enjoy moving abroad as much as you. 9. What’s my plan if it doesn’t work out? Sometimes things just don’t work out. And if your move doesn’t, you don’t want to be stranded without a plan. Before you move abroad, think of the worst-case scenarios you might face and think of some solutions for them. Just a few minutes of prep now can save you hours of stress later. Dream of living abroad? Sign up for the newsletter!